Inject life into dull, dry lips with the Hurraw! Orange Lip Balm; an ultra-hydrating formula that cares for skin using premium organic, vegan and raw ingredients. The rich and creamy balm effortlessly glides over lips, enveloping them in a veil of essential moisture, due to the skin-loving combination of Sweet Almond, Jojoba and Castor Seed Oil. 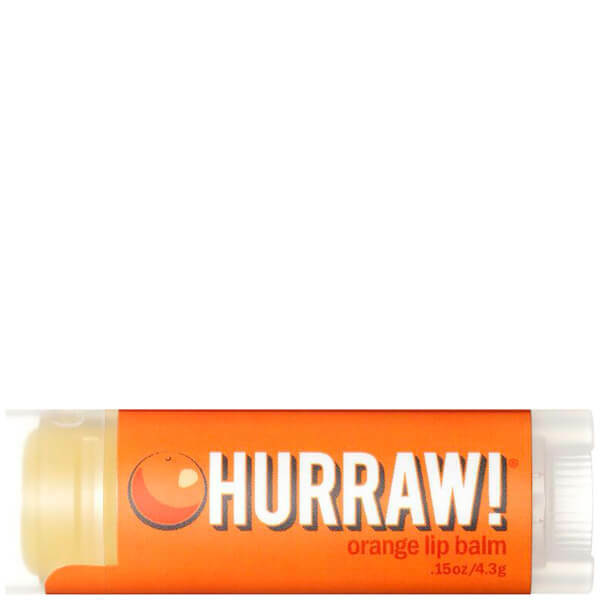 Delivering an uplifting orange fragrance in one simple swipe, the lip balm refreshes lips, leaving skin soft, smooth and smelling good enough to eat. Prunus Amygdalus Dulcis (Sweet Almond) Oil, +Euphorbia Cerifera (Candelilla) Wax, *Cocos Nucifera (Coconut) Oil, *Simmondsia Chinensis (Jojoba) Seed Oil, *Theobroma Cacao (Cocoa) Seed Butter, *Ricinus Communis (Castor) Seed Oil, Olea Europaea (Olive) Fruit Oil, Citrus Sinensis (Orange) Peel Oil, Tocopherols (Sunflower). *Organic & Cold Pressed.